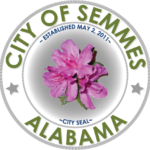 If you are planning on opening a business in the City of Semmes, or plan on doing business within the city limits, you must first obtain a business license by completing and submitting a Business License Application and paying the appropriate application fees. Learn more about the business license process. The City of Semmes Business Fee Schedule can be viewed in its entirety below.